Just a week ago, we were riding in freezing temperatures. About an hour of riding was all I could really take, because parts of me would start to go numb. Heads were down and the conversation was light as we tried to stay warm in the frigid wind. 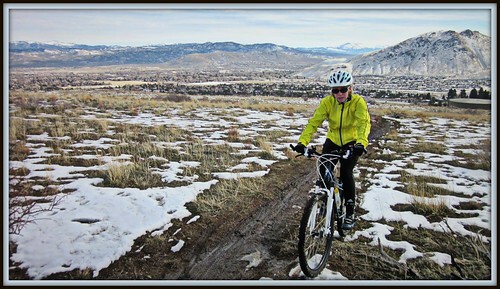 On the other hand, the mud and snow was frozen, and allowed for some decent exploration into the mountains. It was rough riding, but good to get back up in the canyon. A few days later the weather warmed up. Good for the bodies, but bad for the trails. The sand was squishy and the mud was deep. Getting anywhere off the pavement took grueling effort, and we got covered in mud. It was one of those days when I thought if it wasn’t for the good friends along on the ride, it wouldn’t have even been worth going out at all! The weekend brought near spring-like conditions to the area, and the ground dried out quickly. 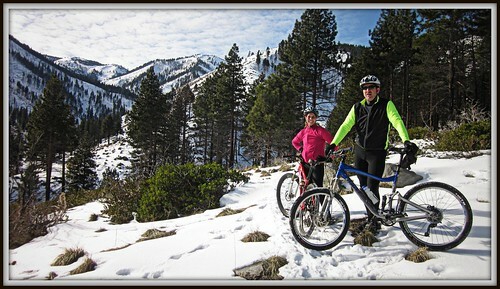 A bunch of us explored the desert east of Carson City over the weekend, giving Ash Canyon a few more days to dry out. And here we are a week later. Head-sweats, shorts and short sleeves are in. Booties, jackets, and mountaineering gloves are out. 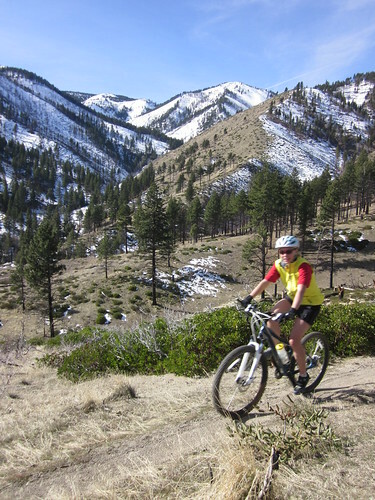 With exception of the Creek Trail, which is still under snow in the bottom of the dark canyon, the trails are in great shape! There are a few new ruts and exposed roots where the soil has eroded, but for the most part, you can ride full speed again. It feels great to be back on the trails! Definitely agree. I hit up Ash Canyon on Monday and loved every minute of it. After almost 4 months of not being able to ride it was nice to get out. Stop numerous times to just bask in the warm sun and then mash away on the track. Found a few spots that needed some quick repair from the loose soil and someone hitting a rock just right, but that is all part of the experience. I hope to start making these weekend trips more often as I NEED to get back into climbing shape and NEED to shut the brain off for awhile! !